Exposed. Unguarded. Out on a limb. These words don’t conjur the most positive images. But I would pose to you that this is exactly where God does his best work. 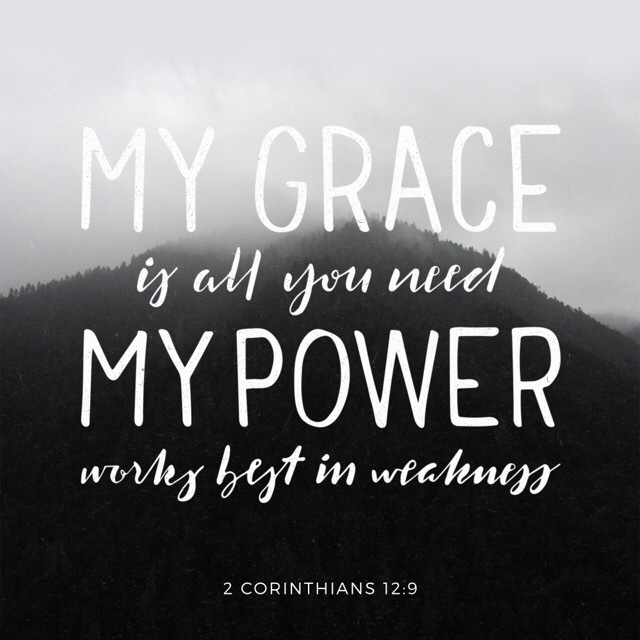 When we are humbled enough to accept all he has to offer, when we let him break down our walls and stop pushing him away because of our self-imposed need to present a perfect self to him, that’s when he can use us. In our brokenness, in our frailty, in our weakness. This video is my brave Army guy’s testimony at our church. This video took courage. Mr. Wonderful is the guy I’ve been writing about for some time now. My sweet, strong army guy has suffered terribly for years from PTSD, depression, anxiety, alcoholism, even drug abuse. God saved us so he could use our pain for his purposes: to bring light and hope and saving grace and salvation to anyone who is still in that dark and broken place. We still have hard days but we will count them all as joy, becuse we have been snatched back from death’s door. If you are having trouble with the darkness of mental illness, depression, PTSD, anxiety or anything else that has you feeling like you just can’t go on, please reach out. We will be your people if you don’t have any. I’m also leaving the national suicide hotline numbers in this post so you can reach out. YOU DO NOT FIGHT ALONE!